Michigan offers prospective master's students several options for communication degrees, from traditional on-campus programs to fully online options. Areas of emphasis include general communication studies, journalism, public relations, organizational communication, intercultural communication and political communication. Following graduation, communication specialists may apply to doctoral programs across the country for further study or seek employment in various fields of communication. 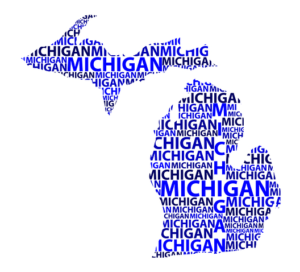 Major communication companies with offices in Michigan that may offer employment opportunities include Weber Shandwick, JR Thompson Company and MSL Group. In addition to media outlets throughout the state, Michigan's major industries of automotive/manufacturing, tourism and agriculture may provide employment opportunities for recent communication graduates. Central Michigan University offers a Master of Arts in Communication program on their campus in Mount Pleasant. What to Know: The Master of Arts in Communication degree is a 33-credit hour program that provides students with a broad education in the theories and principles of human communication. The program culminates in either a thesis or a comprehensive exam. What Does It Cost? : Graduate level tuition for the 2018-2019 academic year is $596 per credit hour. Anything Else? : The application deadline for enrollment in the fall is March 15, and October 15 for the spring semester. Eastern Michigan University in Ypsilanti offers two master's-level communication programs, one as a traditional on-campus program and the other a fully online program. What to Know: The Master of Arts in Communication program is a traditional on campus program that focuses on communication theory, research, performance and applied communication contexts. There are two concentrations for students to choose from: Communication Studies or Interpretation/Performance Studies. What Does It Cost? : Graduate level tuition for the 2018-2019 academic year is $750 per credit hour for Michigan and Ohio residents, and $1,335 per credit for non-residents. Anything Else? : The application deadline for enrollment is February 15 and students begin in the fall term. Grand Valley University offers a Master of Science in Communication Studies program on their campus in Allendale. What to Know: The Master of Science in Communication Studies program is a 36-credit hour program that can be completed on a full-time or part-time schedule. The program allows students to gain professional experience at the campus newspaper, student-run television or radio stations, and internships in professional settings on campus and off campus. What Does It Cost? : Graduate level tuition for the 2018-2019 academic year is $651 per credit hour. Anything Else? : The application deadline for the fall semester is July 15, November 1 for the winter semester and April 1 for the spring/summer semester. Michigan State University offers two options for master's level communication programs, one a traditional on-campus Master of Arts in Communication and the other a fully online Master of Arts in Strategic Communication. What to Know: The Master of Arts in Communication program is offered on campus in East Lansing, and students choose from a pre-Ph.D. thesis track or a career-oriented final examination track. Both tracks offer students the opportunity to concentrate their studies in various areas of communication, such as interpersonal communication, organizational communication, political communication and intercultural communication. What Does It Cost? : Graduate level tuition for the 2018-2019 academic year is $9,066 per semester for Michigan residents based on a 12 credit hour course load, and $17,814 for non-residents. Anything Else? : The application deadline is April 1 for admission to the fall semester. Oakland University in Rochester offers a Master of Arts in Communication program in an on campus format. What to Know: The Master of Arts in Communication program allows students to choose from three concentrations: Culture and Communication, Interpersonal Communication and Media Studies. The program aims to prepare students for further academic study or for professional careers in communication. What Does It Cost? : Graduate level tuition for the 2018-2019 academic year is $738 per credit hour for Michigan residents, and $1,027 per credit hour for non-residents. Anything Else? : The application deadline is February 15 for admission to the fall semester. Wayne State University offers a Master of Arts in Communication program with several concentrations to choose from on their campus in Detroit. What to Know: The Master of Arts in Communication program offers students the choice of several emphases that teach the theory, research and practice of communication. Students can choose from Communication Studies, Dispute Resolution, Journalism, Media Arts, Media Studies, Public Relations & Organizational Communication and a joint program in Dispute Resolution and Law. What Does It Cost? : Graduate level tuition for the 2018-2019 academic year is $690 per credit hour for Michigan, Ohio or Ontario residents, and $1,457 per credit hour for non-residents. Anything Else? : The application deadline is June 1 for the fall semester and November 1 for the winter semester. Western Michigan University in Kalamazoo offers a Master of Arts in Communication as an on campus program. What to Know: The Master of Arts in Communication program is a 30-credit hour program that teaches communication theory and practice to prepare students for doctoral study or careers in various industries. What Does It Cost? : Graduate level tuition for the 2018-2019 academic year is $651 per credit hour for Michigan residents, and $1,232 per credit hour for non-residents. Anything Else? : Applications are accepted on a rolling basis for September and January admission until all available slots are filled. The application deadline for early admission is February 1. Eastern Michigan University offers a fully online Master of Science in Integrated Marketing Communication program. The program is designed for working professionals, and is meant to be completed in two years of study. For more information about Eastern Michigan University's online Master of Science in Integrated Marketing Communication, click here. Michigan State University offers an online Master of Arts in Strategic Communication program that incorporates the digital communication strategies into coursework on advertising, public relations and media. The program requires nine courses and a capstone project. For more information about Michigan State University's online program, click here. Spring Arbor University offers a fully online Master of Arts in Strategic Communication and Leadership. What to Know: The Master of Arts in Strategic Communication and Leadership program is an 18-month degree program with no GRE/GMAT required and students will graduate with an ePortfolio of work to be used throughout their career. What Does It Cost? : Graduate level tuition in 2018 is $717 per credit hour for the communication program. Anything Else? : The program pairs students with professional mentors who can offer guidance and personalized support throughout the program.